The IEEE Cleveland Section is joining SAE Cleveland in the Grand Ballroom at the IX Center for an event focused on the future of the transportation industry, Automated Driving. Dr. Bharat Balasubramanian, who spent nearly 40 years with Mercedes Benz, will present to us some of the history of automated driving and will also share some educated insight on where the industry is headed. Parking, a catered dinner, the presentation and a ticket to the Auto Show for Monday night or any day following, are all included with your registration. Dr. Balasubramanian will present the Past, the Present and the Future of automated driving and safety systems. He will show the technology changes from purely reactive systems like ABS, ESP, etc. to proactive systems like autonomous braking, lane keeping, etc. He will explain that increasing levels of safety and the levels of autonomous driving are two facets of an identical technology set using advanced sensors, actuators, and electronic control units with slightly differing software. He makes a strong case that the immediate advantage of deploying advanced driver assistance systems lie in their ability to dramatically reduce the number of accidents and fatalities. Increasing the Level of automation from currently 2 to Level 3 or 4 would open up tremendous opportunities to the trucking and logistics industry. It would also dramatically impact how customers utilize their time during commuting in their personal vehicles. 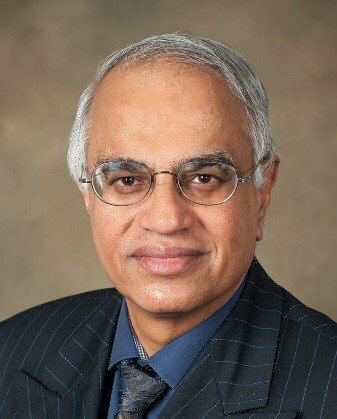 Dr. Bharat Balasubramanian retired in 2012 as Vice President of Group Research and Advanced Engi neering responsible for Product Innovations and Process Technologies after nearly 40 years as a research and development engineer for the Mercedes-Benz brand in Stuttgart, Germany. He has been at the forefront of most of the major advances that have occurred in automotive technology over the past 20 years. Together with his research team at Daimler, he was the initiator and champion of self-driving cars, connected vehicle V2X technologies, battery electric vehicles and CFRP light weighting. After his retirement Dr. B joined the University of Alabama, College of Engineering as a professor in mechanical engineering and electrical & computer engineering as also executive director of the cross-discipline Center for Advanced Vehicle Technologies (CAVT). Dr. B’s mission is to prepare UA students for their careers in the automotive industry in Alabama and the Southeast, and the University of Alabama and industry for future automotive challenges.